Boyds, Md. 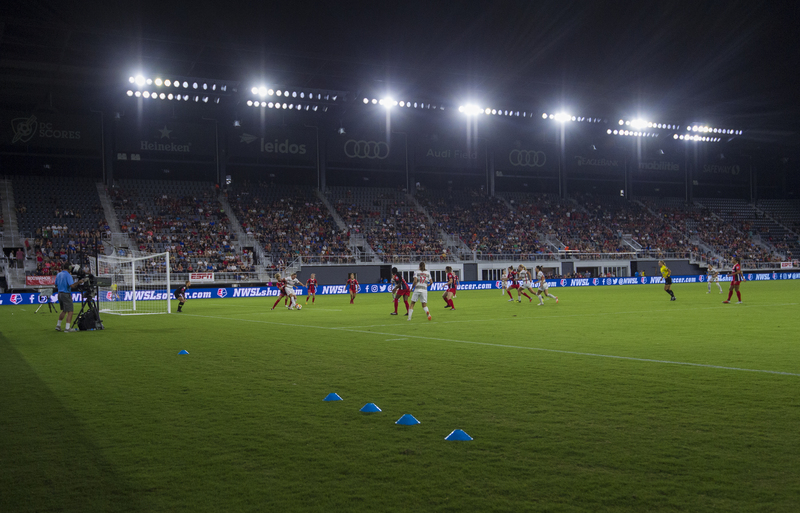 (4/10/19) – The Washington Spirit are excited to announce that the club will be playing two games at D.C. United’s Audi Field during the 2019 NWSL season. The Spirit will play all other 10 home matches at Maryland SoccerPlex in Germantown, Md. The Spirit’s two games at Audi Field will feature the August 24 fixture versus the Orlando Pride and the match on September 14 against Reign FC. Both matches have a scheduled 7:30 p.m. EST kickoff. The Spirit made their first appearance at Audi Field last season in a game against Portland Thorns FC which attracted a club-record 7,976 spectators and was broadcast nationally on ESPNEWS. All ticketing details, including group and suite sales, will be announced at a later date. Current Spirit Season Ticket Members with Assigned or General Admission seating have Audi Field tickets included in their package. This does not apply to Spirit Flex Pack holders who will be able to use their flex accounts to purchase tickets once available.